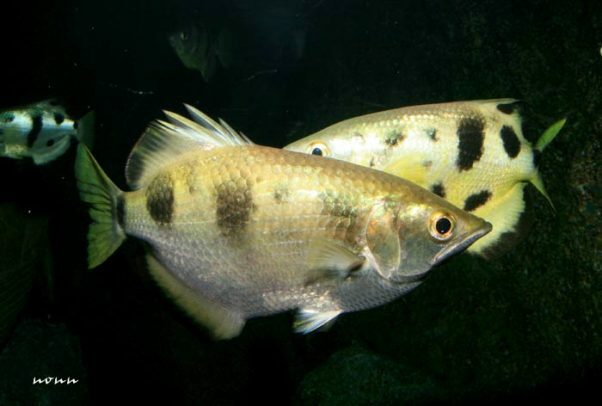 Dr Shelby Temple, now at the University of Bristol, and his team at the University of Queensland and the University of Western Australia used a modified version of the Landolt C test to discover just how fine a detail the archerfish could resolve. The researchers first trained the fish to spit at one of two letters – an ‘O’ or a ‘C’ – by rewarding them with food. Then they showed them small versions of both letters together and recorded which letter they spat at. 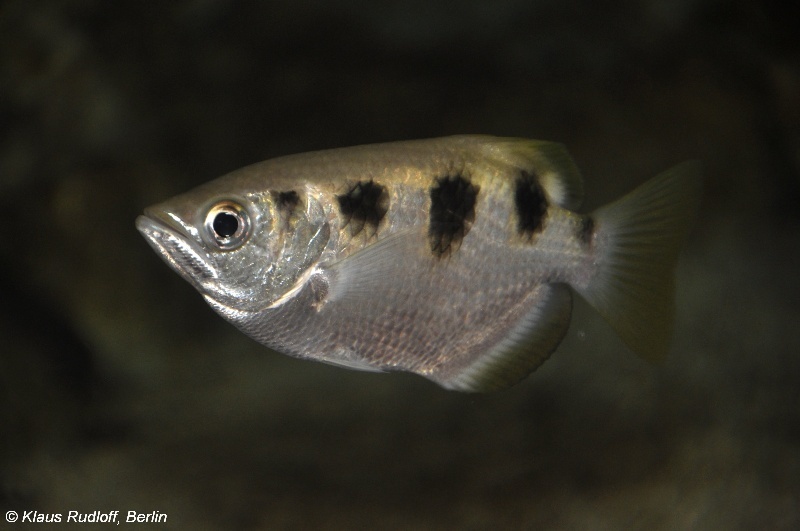 To test the archerfish’s resolving power, the size of the letters were decreased in steps to see just how small they could go. The scientists then compared these behavioural results to the fishes’ predicted acuity based on measurements of the photoreceptor density in their retinas. The results, published in the journal Vision Research, show that archerfish are one of the most visually acute freshwater fish, able to resolve approximately 3.5 cycles per degree with the part of their retina that looks up and forwards, which is not surprising given their interesting foraging strategy. Archerfish have a special way of hunting for food that involves spitting jets of water at aerial insects above the water’s surface. Because sound and smell do not cross the air-water interface, these fish must depend on their visual capabilities to find, identify and accurately spit at their prey. Previously Dr Temple had found that archerfish have the potential to see colours differently in different parts of their eyes. They have visual pigments tuned to the murky brownish waters of the mangroves in the upper part of their eye that looks downwards, and trichromatic colour vision – much like our own – in the part of the eye that looks up and forwards towards potential targets out of the water. Combined with their higher acuity in this same part of the eye, which looks up and forwards, archerfish eyes are clearly well tuned for their odd method of capturing prey. To put archerfish vision into context, many other freshwater fish (for example zebrafish, cichlids) have visual acuities of less than 1-2 cycles per degree, whereas marine mammals (seals, whales, dolphins) have acuities ranging from 3.5 – 5.5 cycle per degree. Humans and other primates have acuity of around 60 cycles per degree. The best seem to be birds of prey with the wedge-tailed eagle having visual acuity of over 140 cycles per degree. Dr Shelby said: “This huge range across animals is mainly because of the optical clarity of the media in which they see and the distances to their targets. While birds and land animals see through air and look for objects at distances of tens to hundreds of metres, fish and other aquatic animals have to see through water which at best gives only tens of metres of clarity. The above story is reprinted from a press release provided by the University of Bristol.